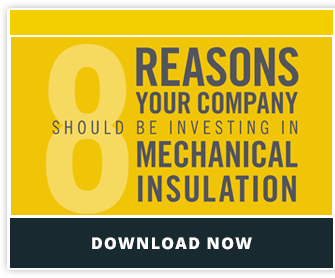 If you are looking for mechanical insulation case studies that show the ROI of an insulation investment, you’ve come to the right place. This collection of case studies and industry reports demonstrates the significant benefits industrial insulation provides. The wide range of case studies provided below shows how vitally important mechanical insulation is for any commercial or industrial application. From process control to fuel cost savings and greenhouse gas reduction, the real facilities documented in these studies unquestionably show the ROI of mechanical insulation systems. We hope you find this collection of resources helpful! Click the links below to be taken to the insulation case studies. As part of a program for the National Institute of Building Sciences, the Whole Building Design Guide provides resources and guidance for designing high-performance buildings. The Mechanical Insulation Design portion of the guide contains several relevant case studies about the impact of mechanical insulation on real facilities. At NCMI, we have performed countless insulation installations that have helped facilities solve their challenges. Here is one example of how a manufacturing plant was able to solve one of its major challenges, which was moisture protection. Aspen Aerogel manufactures industrial aerogel insulation for a wide variety of applications. Their case studies not only demonstrate the value of their own products, but show the benefits of mechanical insulation systems in general for many industries, including oil, petrochemical, transportation, and commercial applications. We are always looking for additional resources to add to our collection. If you find a mechanical insulation case study you'd like to share, feel free to let us know!